There are currently 32,207 users on this website. 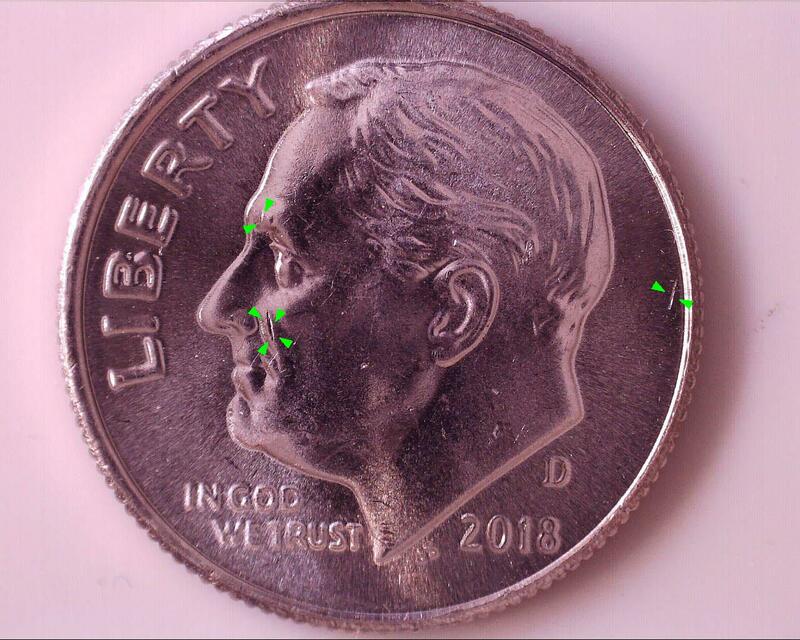 2018 D Roosevelt Dime Uncirculated With Die Chips Or Post Damage? I am in need of help of understanding the difference between Die crack vs. Post damage. I'm seeing some very clean cuts/scratches that don't look like Post damage due to the lack of other damage around the area. Can anyone help me with this understanding. And...if it die chips does it kill the value of he coin? 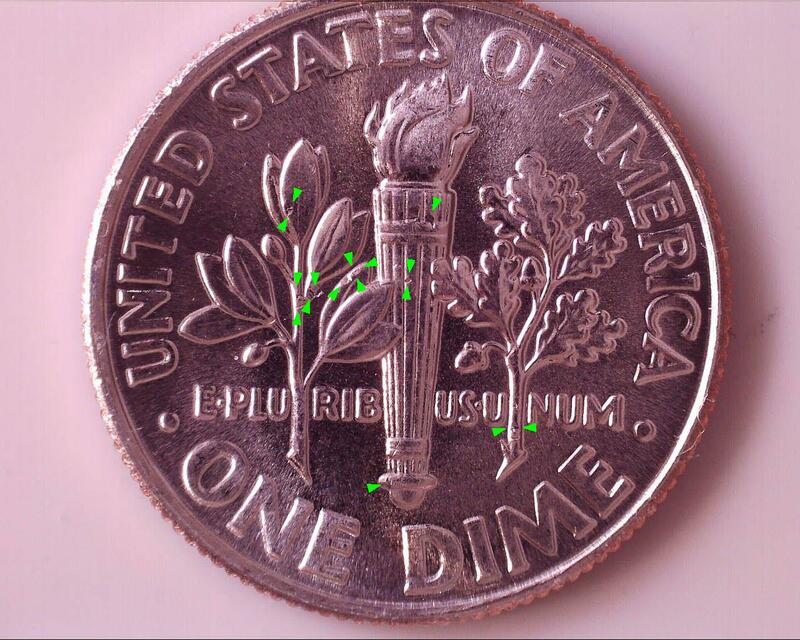 The bag marks (Most of them in green on the obverse) are incuse. 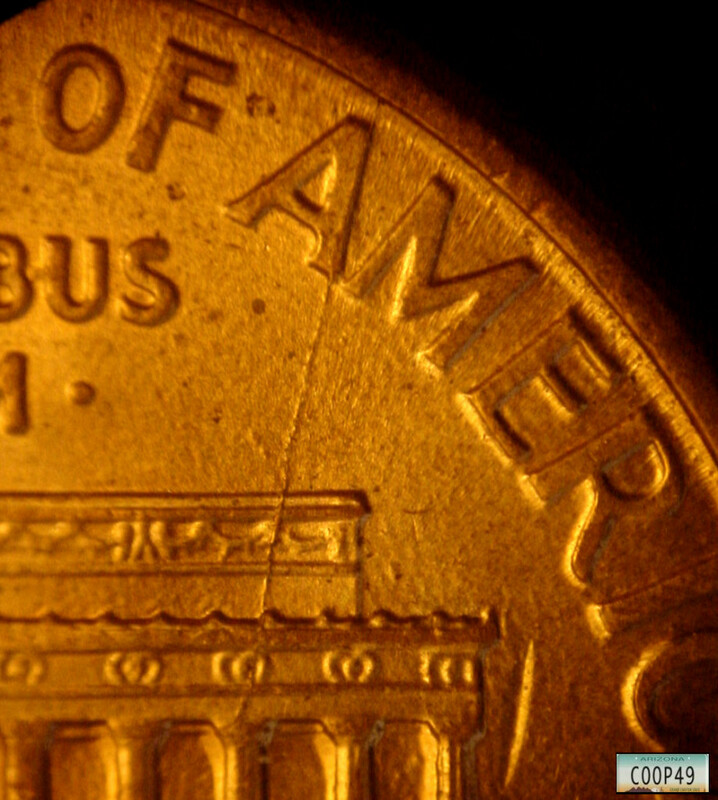 Damage to the coin from a hit from another. A die chip will be raised above the normal design of that area. Why are they raised? Because they are from the die looking that area from the die. So a void on a die will leave raised areas on the coins. Die chips continue as long as the die is continued to be used. Most often this is on the area where the design goes lower on the die. 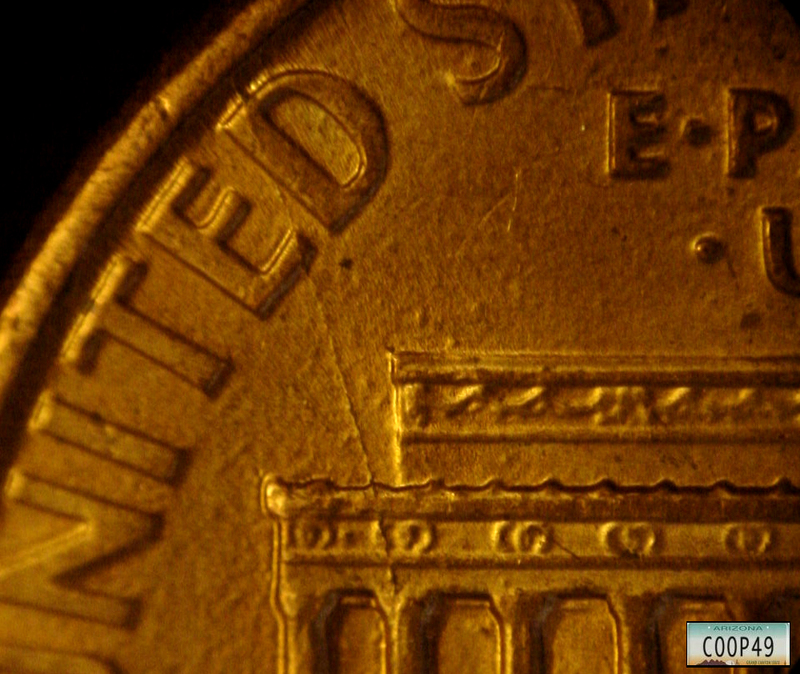 A piece will crumble off the die leaving the coin, showing as a chip on the coins struck after this happens. I agree-these all look like damage to me. Very nice pics by the way! Thank you for the breakdown Coop. So coin strikes...hmmm, I wonder why the damage doesn't continue to into the background of the coin. 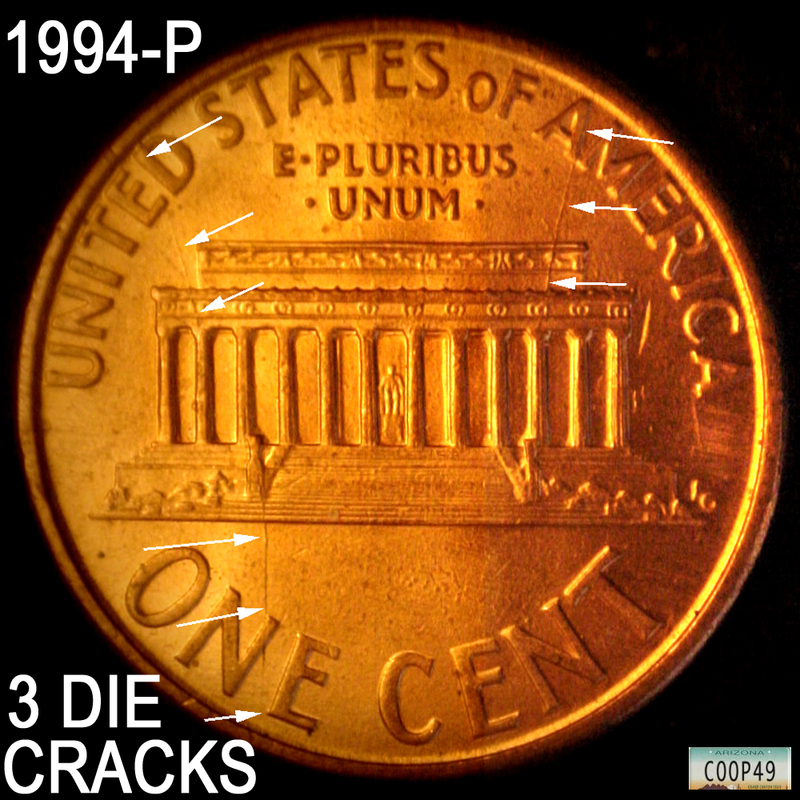 Can you / someone send an example of what a die crack or die notch is? Probably because the coin was not hammer into the other coin. Also in circulation they are just hits in a pocket, till, bag or just falling out of the machine into the pallet bags. Not sure what you mean by die notch? Just so I am understanding this correctly coop, you are saying that a mark below the surface on a coin will leave a raised mark on another coin? Each coin would have to be facing each other flat with raised areas from the motto and everything including the rim that could possibly keep the face from contacting each other but it would still happen anyways? And that there is enough pressure or force in a bag of coins making that possible? I am not doubting anybody I am just asking because I have a lot of odd coins and I know odd things happened in the weirdest way so some things that don't make sense actually do. 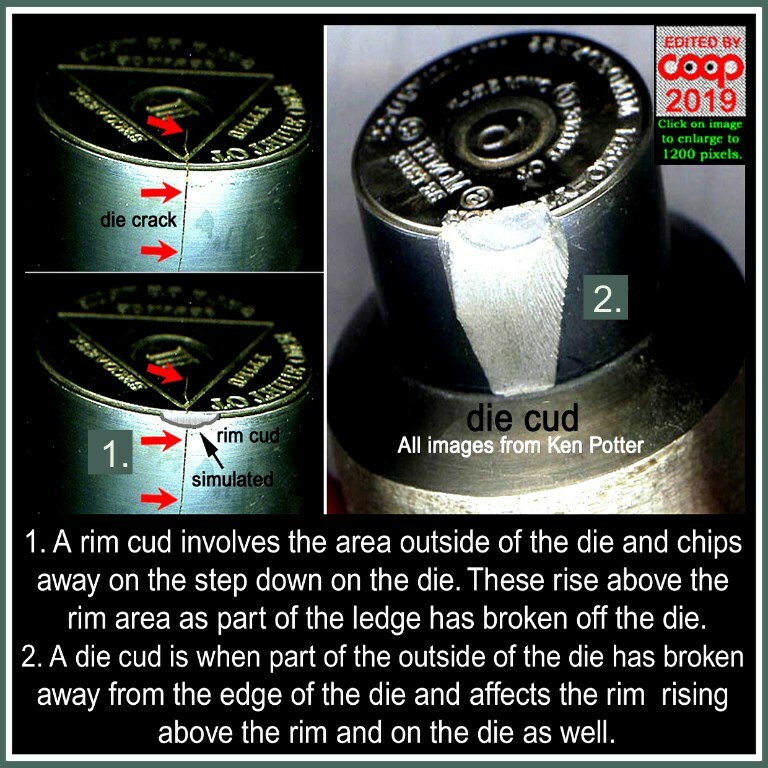 Question: Just so I am understanding this correctly coop, you are saying that a mark below the surface on a coin will leave a raised mark on another coin? 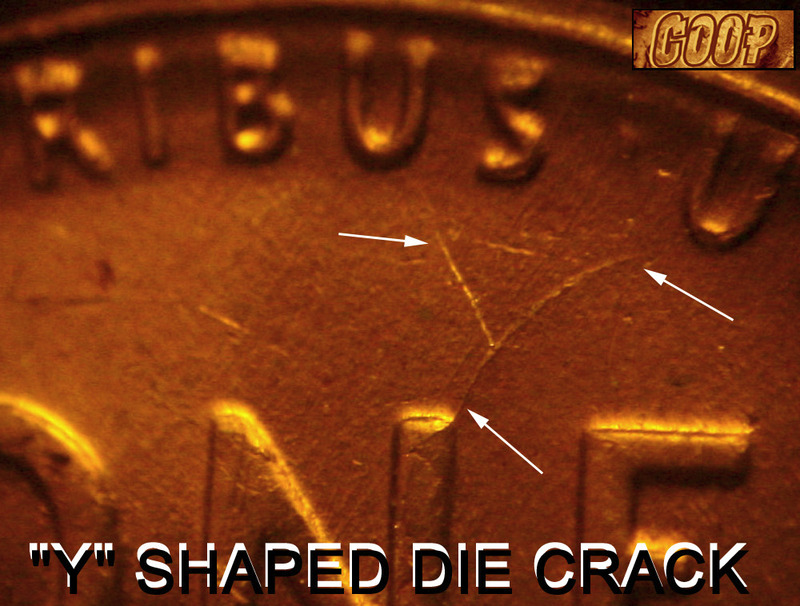 Answer: The coin is damaged from the edge of another coin leaving an incuse mark on the surface of the coin (any locations or edge) On a die, an incuse mark on it (crack, dent, chip, void, cud, break damage) will leave a raised mark on the coins struck with that die over and over. Question: And that there is enough pressure or force in a bag of coins making that possible? Answer: The coins are contained in a bag are heavy. Dropping the bag, make them hit together. The bags are not shown much love as they traveled. 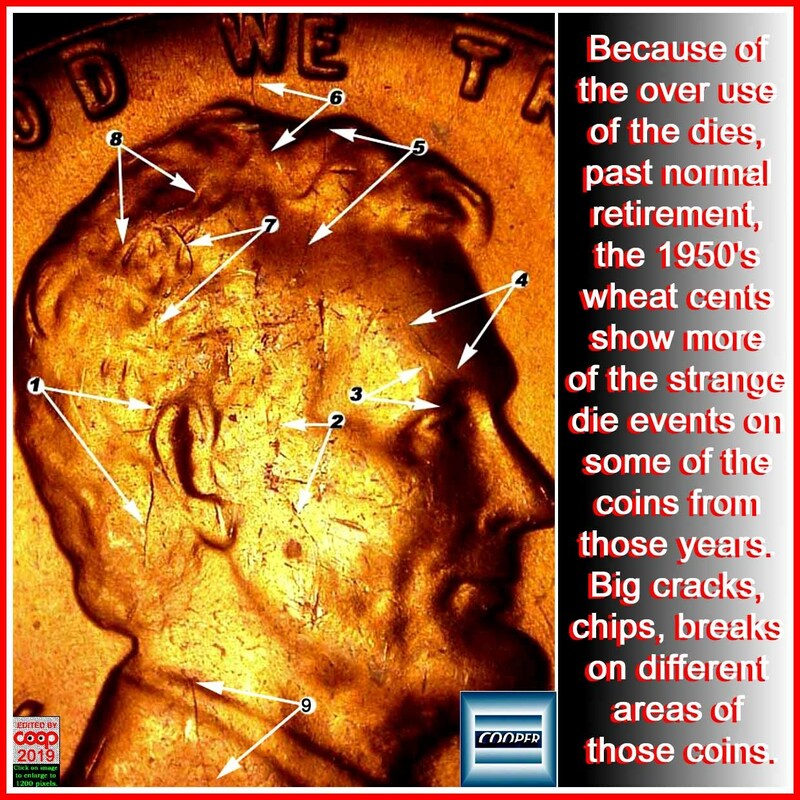 Coins are often defaced to mess them them. Damaged to change them into something else. Some try to make them look like coin errors, some burned, heated, torched, dipped in soap and heated with a candle, dipped in acid, cut with everything, put on railroad tracks, sanded, going through commercial dryers, shot with guns, smashed with leather straps, squashed with other coins in a vise and a lot more I'm just not thinking of right now. After they get done with their jollies, what do they do with them? Spend them and they show up here. These are bad bag marks. Bag marks happen a lot. 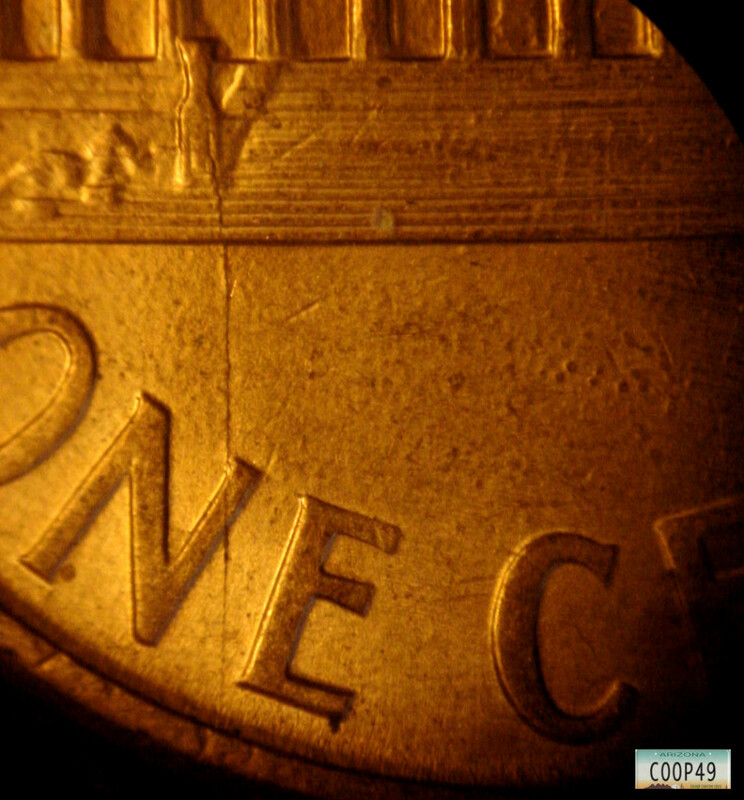 At the U.S. Mint, they fill a hopper up with coins and the coins are dropped on eachother, causing scratches and marks to get on the surfaces of the coin. They also get banged around as well. 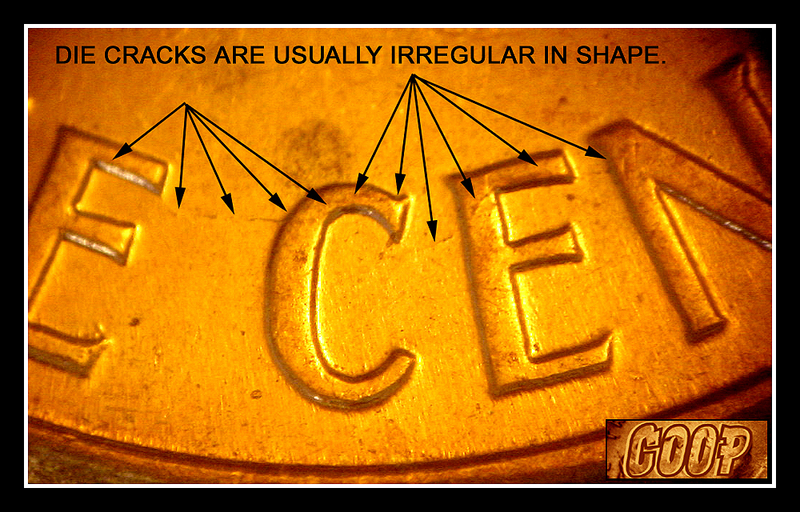 Keep in mind: That 99% of the coins with incuse marks on them are PSD (Post-Strike-Damage) The 1% are the keepers. Getting to know what they are take time and patience. The rest, just spendable change. (Get it out there and thrill and let them down when they find out the same thing.